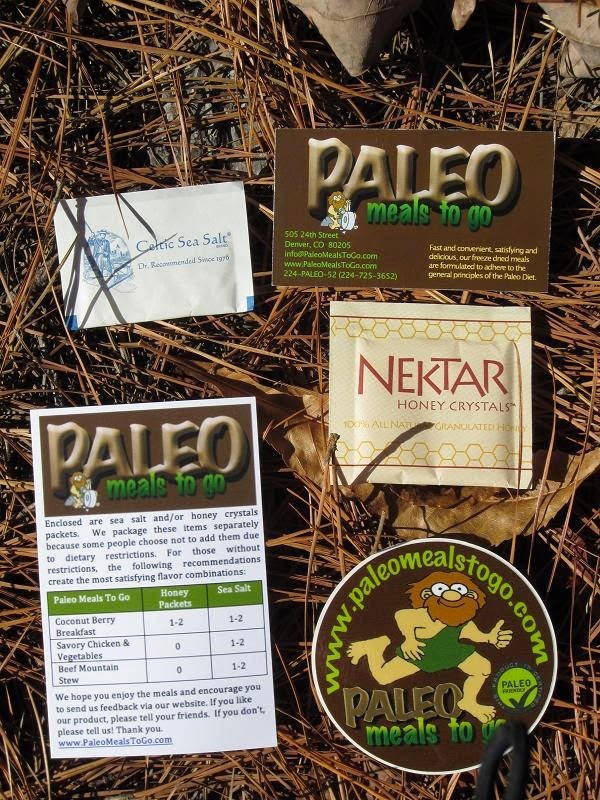 As announced several weeks ago, Paleo Meals To Go (https://www.paleomealstogo.com) offered one of my readers with the opportunity to try one of their great products via a random giveaway. The offer was for one (1) Nomad Bundle (3-meals valued at $36!). The winner is: JOHN! (Since we had two entires from people named John, the winner is the candidate with the very first comment in my previous review with no last name whom I have already contacted). I'd like to thank Paleo Meals To Go for their generosity and encourage my readers to give them a try. In July 2014 I wrote about the Emberlit (Original) titanium 3-fuel folding stove. After mentioning it was $85/5.7oz, I received some comments that it just wasn’t light enough for the ultralight backpacking crowd. Almost immediately after my review in July, Emberlit introduced the FireAnt, a smaller version of their original stove which was $69/2.8oz. Yes lightweight backpackers, you have another potential stove purchase in your future. Somewhat accidentally I was able to pick up one of these stoves and test it for several months before it was widely available. Like the original, the FireAnt is solidly constructed, well-conceived, and fun to use. I’ve included some pictures below for comparison purposes. While the FireAnt is fine, of no surprise the original is more efficient primarily because more (and larger) fuel can be used and there is greater air movement. Either way, both stoves are a lot of fun and quite packable. I wanted to write a quick blog about the JetBoil MiniMo ($129/14.6oz) primarily because I haven’t seen a ton of reviews on it. I’m guessing this could be because it isn’t very well known as it is being exclusively sold through REI, at least for now. I have a love/hate relationship with JetBoil. While I marvel and acknowledge the performance and engineering behind their stoves, I had a very bad experience with their Sol Ti. In short, after just 4 uses, the fins burned and fell off the bottom while I was backpacking. There is nothing more sickening than watching your new $150 stove rendered useless, through no fault of your own, knowing full well you had a lot of miles ahead. From there, I argued with JetBoil for over two months trying to get them to honor their warranty. They claimed I cooked in it, which I had not. I simply used it to boil water, but it took entirely too much interacting with them to get them to show they were a stand-up company and to back their product. In the end, I got a new cup, but by then I was done with the Sol Ti which was only further enforced after reading several reviews from others who had similar experiences. I also understand the SolTi is unlikely to be manufactured in the future due to so many consumer issues with it. With this in mind, I sold the Sol Ti and used the proceeds to purchase a JetBoil MiniMo. My personal lightweight stove preference is Esbit. It’s more expensive as a whole, but it’s nominal for someone who is more of a weekend warrior versus a thru hiker. The difference in size and weight to most any other stove option is phenomenal as Esbit stoves are tiny and nearly weightless. My second choice is a cone-style stove which affords the use of natural resources (wood, duff, etc.). When compared to compressed gas or similar canister stoves, a major difference is really time and convenience. Gas/Canister stoves cook more quickly and can be less fussy. Being able to boil a cup of water using a JetBoil in just shy of 3 minutes is such a mental and physical pick-me-up versus waiting for 8-10 minutes using an alternative. With that said, you can assume that I use gas/canister stoves primarily when I just don’t want to deal with the fussy nature of other stoves, if the weather is very poor, or if I just don’t mind carrying the extra weight. There are several things I really like about the JetBoil MiniMo. First, it is short and squat which improves the angle of eating from it and it works more like a bowl. Being squat and made from aluminum also makes cooking a little more flexible. While other stoves may claim broader cooking capabilities, unless the pot is as wide as the JetBoil MiniMo, there will be a certain degree of inconvenience as food much be chopped into small pieces just to get it to fit. The real gain of the JetBoil MiniMo is the ability to fully control the flame making simmering and low-temperature cooking a real possibility. A small canister and stove (and spoon for that matter) can conveniently fit in the cup of a JetBoil MiniMo. Support legs for the canister fit nicely in the lid. Unlike other JetBoil products, the JetBoil MiniMo cup has robust handles which just makes the experience a little more pleasurable. But, there are some things I don't like. The little plastic cup at the bottom, while useful in theory, continues to be cheaply made. I've already broken a corner off mine. The overall stability, especially while trying to remove the main cooking pot from the stove, and then the stove from the canister, always leaves me expecting to get burned or dump my food. Components like the lid are over heavy and so are the handles. The neoprene sleeve, while useful to help hold warmth, could use a cut-out for lips and it would be nice if it were easier to remove for cleaning. I'd also really like JetBoil to come up with some kind of attachment, like it offered for the Sol Ti, which would allow a pot to be set on top of the burner (like a skillet or a cup without fins). Bottom line, while I wouldn’t take it on every trip, it’s nice and convenient, performs well, and while perhaps a little bulky, overall it is a non-issue. When I want something that makes my life easier, I use the JetBoil MiniMo. 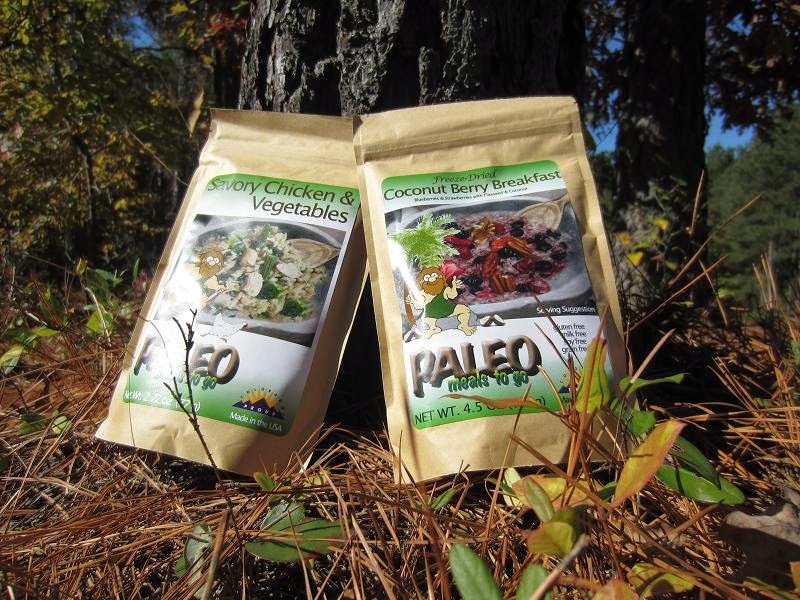 Paleo Meals To Go and GIVEAWAY!! If you’ve ever backpacked with me, you know I claim I’m “food stupid” and generally refer to may backpacking meals as “warm slop”. I don’t have the trail-cooking stamina to actually put together a decent meal and I’m more often than not unwilling to pack heavier foods that I’d probably like better. Funny enough, what I look forward to most on the trail is fresh fruit, if I’m willing to lug it along, or some kind of cured meat (summer sausage and some pepperoni) with cheese wrapped up in a tortilla and slathered with a packet of mayonnaise. But when the weather turns colder, the miles longer, and those inner chills of exhaustion won’t go away, I look for a quick solution that will fill me up and keep me warm. The act of selecting pre-packaged trail food is often an exercise in picking the best of the worst. Whether you hit the name brands at your favorite outdoor store or venture to one of the handful of online cottage companies, what you get is usually a blob of bland carbs with a handful of dried seasoning elements. While some are better than others, as a whole, I’m not terribly impressed. There is a reason why backpackers stuff their faces with anything they can get their hands on when in trail towns. Caloric intake is one answer, but I’m guessing the promise of something other than warm slop is equally or more desirable. 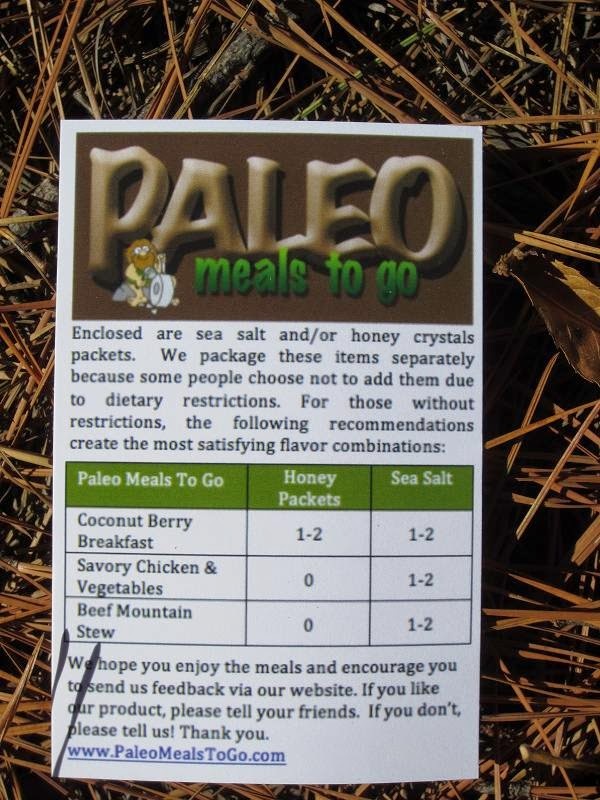 Several weeks ago Paleo Meals To Go (https://www.paleomealstogo.com) from Denver, CO reached out to me and offered me the opportunity to try two of their food offerings – a breakfast and a lunch/dinner. 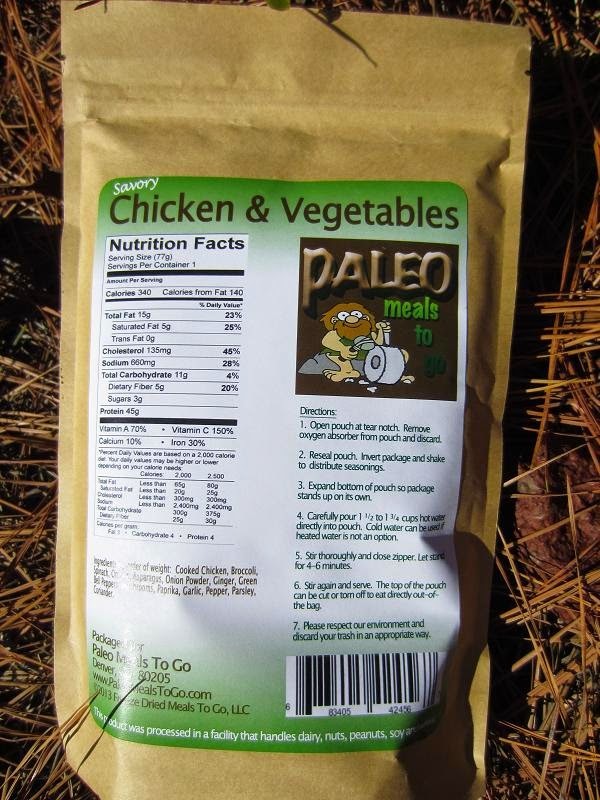 Where Paleo Meals To Go differs from other trail food companies is that their meals are entirely Paleo (Paleolithic). The Paleo Diet, also referred to as the Caveman Diet, is reminiscent of the Stone Age diet of hunter-gatherers and is intended to emulate a diet of plants and meat eaten by humans during the Paleolithic era. In addition to avoiding heavily processed foods, this diet does not include modern-day carbohydrates, dairy products, grains, legumes, processed oils, and refined sugar. Proponents of the Paleo Diet claim that human metabolism has been unable to adapt fast enough to handle many of the foods that have become available since the advent of agriculture. So why should I care about the Paleo Diet? Well, like many American’s (regrettably), I’m fat, fluffy, overweight, over-nourished, manly voluptuous, robust, big-boned, and/or strain the limits of my wardrobe. I’ve struggled with maintaining a reasonable weight most of my life unless I quite literally worked out daily for 3 hours per day (which I did for many years). I am also diabetic and am treated for high-blood pressure, high-cholesterol, and a metabolism that is about as slow as an iceberg. Bottom line, I’m the poster child for the Paleo Diet and moreso, I simply have no choice but to be exceptionally careful about what I stuff in my face especially while doing something high-energy like backpacking. This also means my options are limited. My first impression of Paleo Meals To Go is friendly people with a clean website and a simple and straight-forward product offering. Upon receipt of their “Savory Chicken & Vegetables” and “Coconut Berry Breakfast”, I found myself appreciating the packaging and marketing. 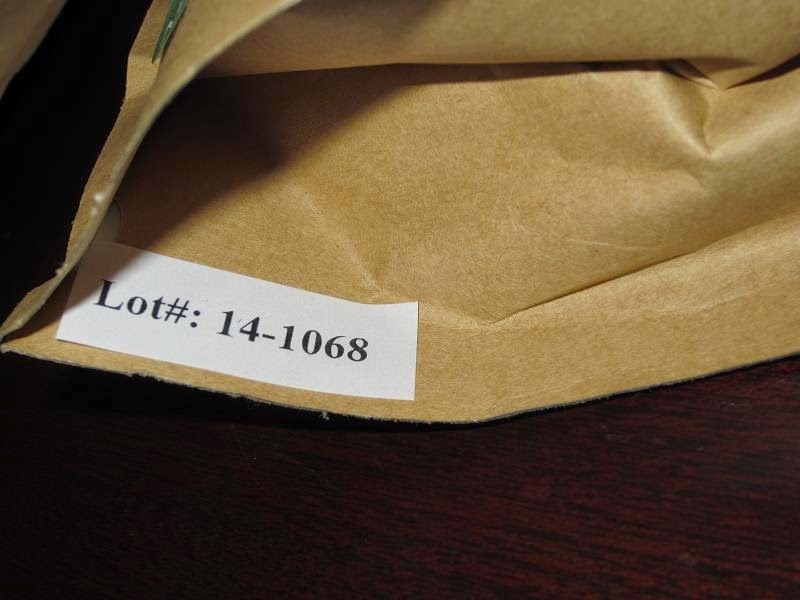 Unlike others, the meal was presented in a paper-package lined inside with plastic which allows hot water to be poured into the bag to cook the meal. I like this much better than the shiny, plastic, NASA-inspired packaging from others. The outside packaging had a nice picture of the meal with clear nutritional information. 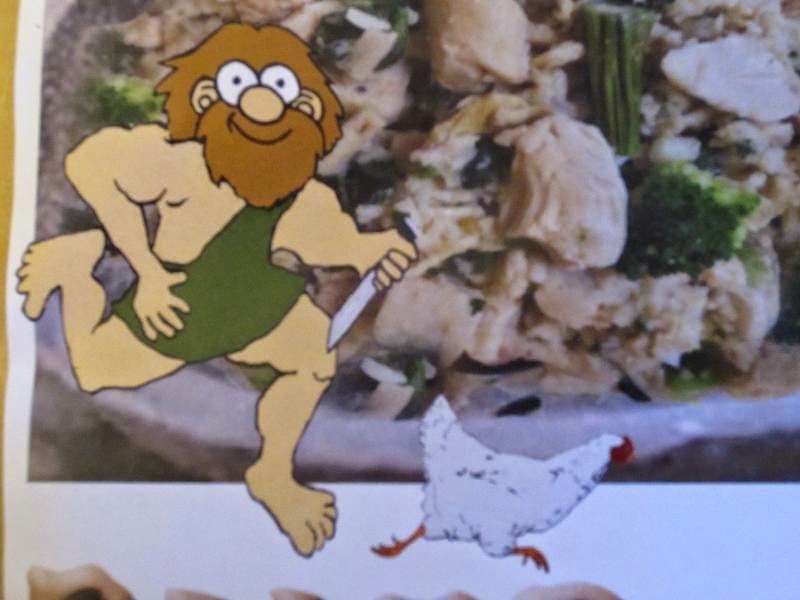 There was also a depiction of a caveman which changed on each meal (i.e chasing chicken for the chicken meal). Additionally provided was a packet of honey crystals and Celtic sea salt for use as desired. Unlike others similar packaged backpacking foods, at least in my experience, was a welcoming smell of freshness once opened. It wasn’t something I planned on noticing but did after the difference smacked me in the face. 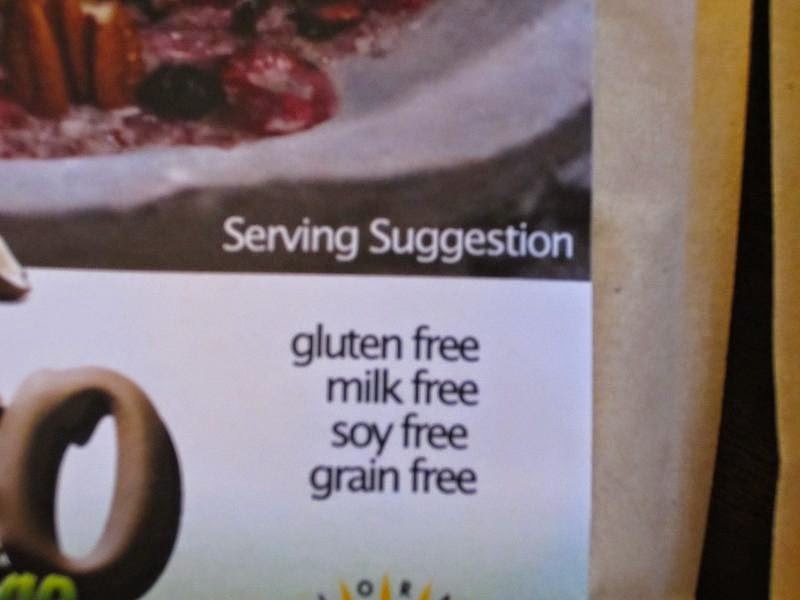 I also enjoyed the moment when looking down in the bag and seeing what I defined as real food and not a soon-to-be watered down bag of carbs. I wanted to offer a fair and impartial evaluation of the food provided by Paleo Meals To Go, so I decided outdoor conditions and cooking with backpacking stoves was most appropriate. I see plenty of people offer their evaluation of trail food, but it’s often done while standing over their kitchen stove and munching down over their kitchen table which didn’t seem fair. I prepared the Savory Chicken & Vegetables while hiking during the polar vortex that recently hit Virginia. It was 26 degrees, the sun was nearly set, and I was fairly tried and cold. I prepared the Coconut Berry Breakfast while hiking on a Saturday morning when it was about 40 degrees. For the Chicken, I cooked it in a pot, and for the Breakfast, I cooked it in the pouch (as intended). My impressions of both meals was very positive. First, “freshness” was the standout feature and it smelled and looked like I was eating real food. Second, it was wonderful not having a blob of carbs to choke down. The meal size was appropriate, not too much and not too little which I have yet to find anywhere else. Despite being a big eater, with other trail food, I often find that I have some food left over (either that, or I just got sick enough of the slop). The proportions of each separate food item, for example, broccoli to chicken, were very promising. All too often the stuff I want to eat out of these kinds of meals are overburdened with, of no surprise, carbs. When carbs aren’t on the menu, it means more of the good stuff and who is going to complain about more chicken and vegetables if they are health-minded? Most importantly, it was refreshing to feel like what I was eating was healthy and that it actually tasted like food worth eating. While the meals tasted just fine as-is, and have been the best dehydrated trail foods I’ve had to date, I found the addition of some powdered cheese make it a really welcoming meal. I read a review about Paleo Meals To Go which said their food was a little pricey ($12.99/meal). While I’m sensitive to the cost of most things, I don’t find these meals to be overpriced for what you get. First, this is about as close to fresh food as you’re going to get. Second, a bag full of desirable and healthy food, versus a bag of sloppy carbs, really goes a long way. For me this is really where the decision to put a premium on my health comes into play. Bottom line, would you rather fill your belly with power foods that help you press on and keep you genuinely healthy or something that just fills your gut, makes you feel terrible, and offers little health benefits? My vote is simple if you can afford it – buy from Paleo Meals To Go. And there is no better time than right now to buy with a 20% off deal for Black Friday. Use the code BLACK20 at checkout. Paleo Meals To Go has generously offered one (1) Nomad Bundle (3-meals valued at $36!) to a winner of one of our random drawings. This is one of the best giveaway’s we’ve had, so it is worth your time to enter. To be eligible, simply leave a comment below explaining why you’d like to try one of these fantastic meals. A winner will be selected at random in the near future. Please note the winner must have a shipping address in the USA. 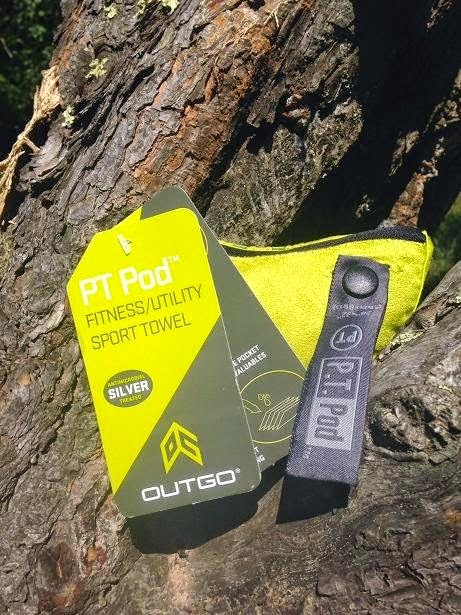 Congratulations to JOSH MITCHELL for being the randomly selected winner of the Outgo PT Pod Fitness/Utility Sport Towel by McNett. Josh, please leave a comment on this section with your full name and mailing address. Your response will NOT be published. 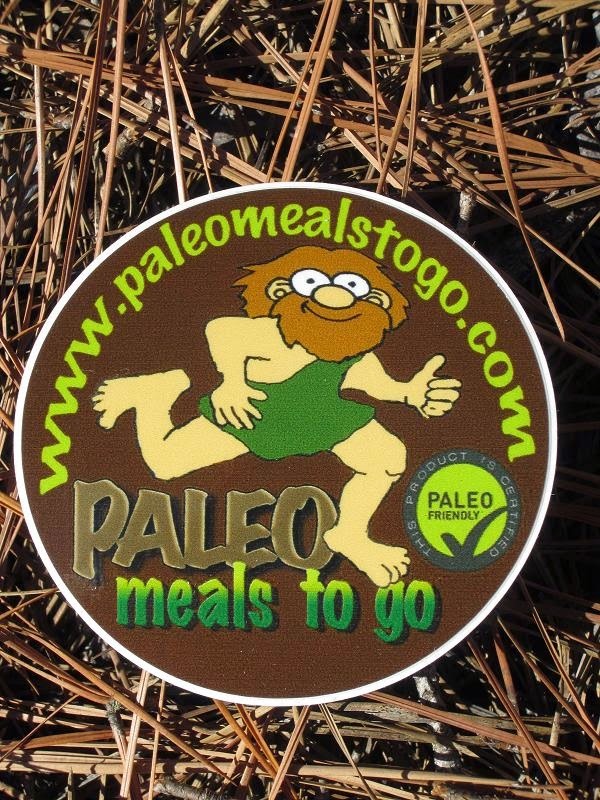 To all readers, in the near future, Paleo Meals To-Go has agreed to sponsor one of our free giveaways with a great Paleo offering. Stay tuned and congratulations Josh!